Bookectomy was created for independently-minded, goal-oriented professionals, practitioners, and other "going-it-alone" entrepreneurs who are ready to write and publish a book. 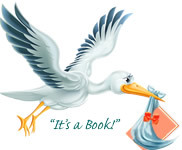 We primary help with non-fiction, print books, but, as you can see from our many testimonials, we have also done fiction books, children’s books, photo books, poetry books, and ebooks too. Many of our clients are technically challenged and need one-on-one guidance to navigate the publishing world’s tangled web and lingo. We make it easy with only seven steps from manuscript to published, and if your book is written, you already have the first and hardest step done. A lot of our clients are very particular about how they want their book to look. Quality and professionalism are very important to them. They prefer to steer clear of expensive, cookie-cutter services and go with an independent designer like Bookectomy. They appreciate being in control of all the design decisions and being able to manage the costs. Bookectomy is also dedicated to helping authors make clear and profitable decisions about the best route for their book. Our one-on-one clients receive more than just correctly generated files, they also glean tips and tools to help them make wise publishing decisions. Just browsing around? Check out our guides, blogs, and resources designed to help you avoid the many money-traps and noobie mistakes authors often fall prey to. If you are in need of one-on-one help, schedule a call on our Self-Publishing Hot Line to discuss your next steps for you and your book. Let's see how we can help!